The Gardens of Babylon are said to have stood on the banks of the Euphrates River in modern-day Iraq, although there's some doubt as to whether they ever really existed. 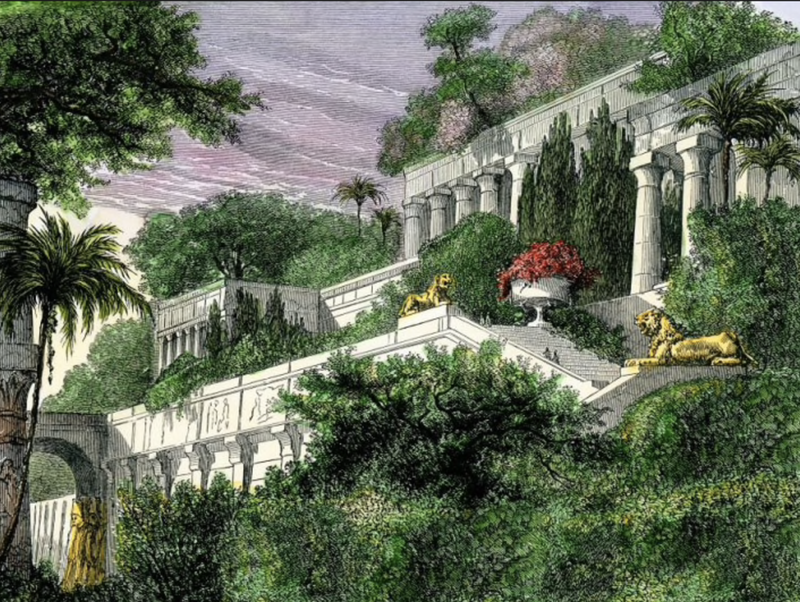 Legend has it the Babylonian King Nebuchadnezzar II (604-562 BCE) constructed the gardens at his Royal Palace in the Mesopotamian desert as a love offering to his wife, who came from Media and who longed for the lush greenery of her mountainous homeland. However, thousands of clay tablets from that period in Babylon still exist today. They describe in detail many facts about the city, its people and its surroundings — and yet records of the Hanging Gardens are conspicuous by their absence. 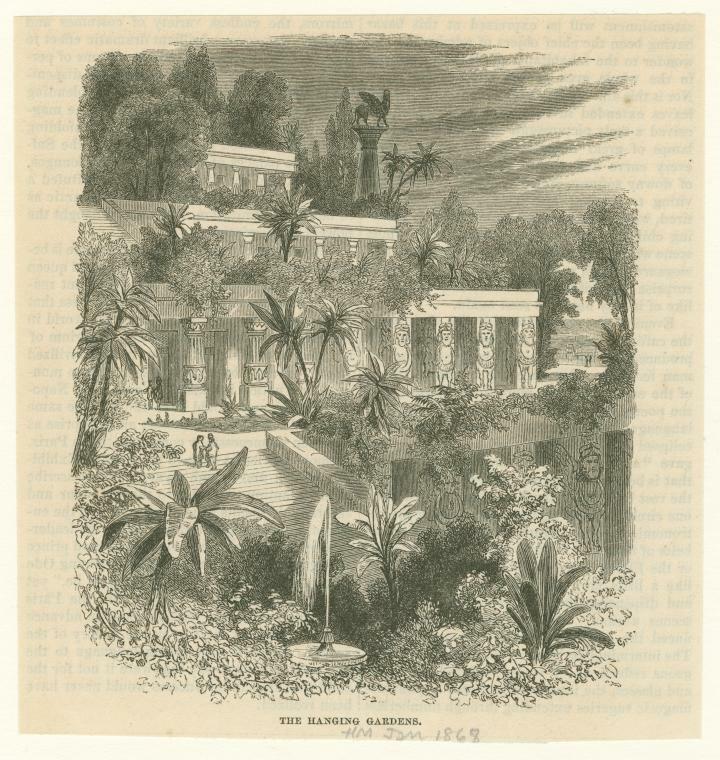 The ancient tourist and travel writer Herodotus, for example, mentions nothing at all about the hanging gardens in his extensive descriptions of the city of Babylon and the surrounding countryside. 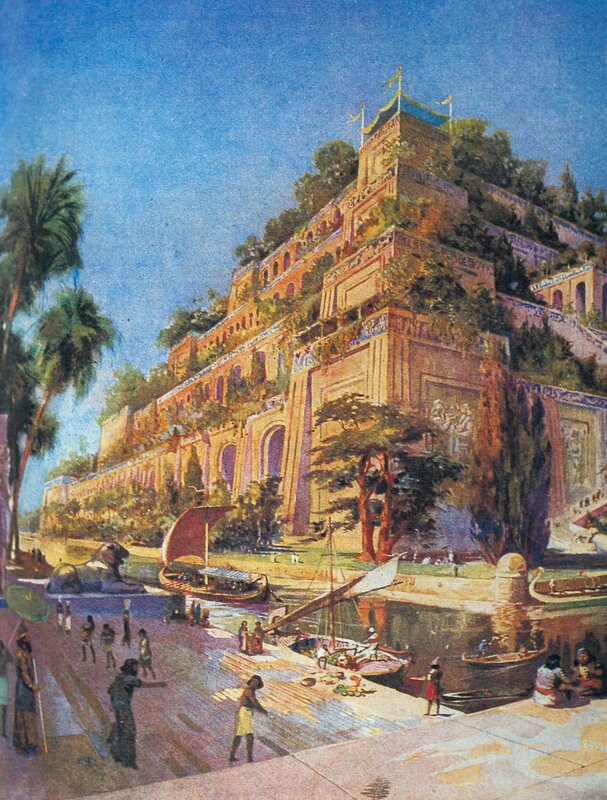 So are the hanging gardens of Babylon a reality or are they merely a myth? One suggestion is that when Alexander the Great's army entered Babylon from its barren surroundings, the soldiers were amazed by the lush growth of the date palms, olive trees, and other fruit trees. They later recounted their time in the city with increasingly fanciful detail. When they returned to Greece, the poets continued the tradition until, when told enough, the stories became accepted as fact. What we do know is that archaeologists rediscovered the city of Babylon under a large mound that the natives of Iraq called Babil. More recent archaeological discoveries include the foundation of the palace, the Vaulted Building, and an irrigation well that may have supplied the hanging gardens with water. Massive, 25-metre thick walls along the banks of the Euphrates River, which could have been stepped to form terraces, have also been discovered. Some people believe the Vaulted Building was the site of the Hanging Gardens, while others believe they existed between the walls by the Euphrates River and the site of the foundation of the palace (Ashmawy). No one knows for sure.